Filmmaker Stephen Winter is the guest on this Fandor-sponsored episode of the podcast. Stephen’s new film Jason and Shirley just had its world premiere at BAMcinemaFest. The film is a fictional account of the day Shirley Clarke shot her seminal doc, Portrait of Jason. Catch Jason and Shirley at film festivals this summer and watch Portrait of Jason on Fandor starting June 19. Guests on this episode include Antarctic Edge:70° South director Dena Seidel; Lisa Durden of the National Black Programming Consortium & filmmaker Carol Bash with her film Mary Lou Williams: The Lady Who Swings the Band; and Appropriate Behavior director Desiree Akhavan from London. Guests on this episode include director Olivier Assayas with the new Clouds of Sils Maria; Kieran Turner discusses his new doc Jobriath, A.D.; and filmmaker Brane Bala & actor/musician Milan Mumin with their film Love Hunter. 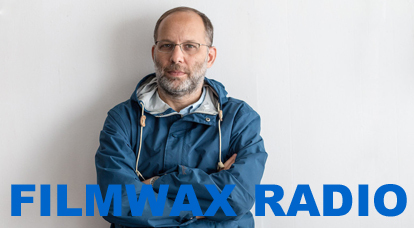 Filmmaker Ira Sachs (Keep the Lights On, Forty Shades of Blue) returns to the podcast. Guests include film blogger and journalist Glenn Kenny & director of the new documentary, To Be Takei on the life of George Takei, Jennifer Kroot. The guests on this episode of the podcast include the team behind Citizen Koch, Carl Deal & Tia Lessin; filmmaker Michael Tully with his new comedy Ping Pong Summer; and filmmaker PJ Raval with one of the subjects from his film Before You Know It, Ty Martin.